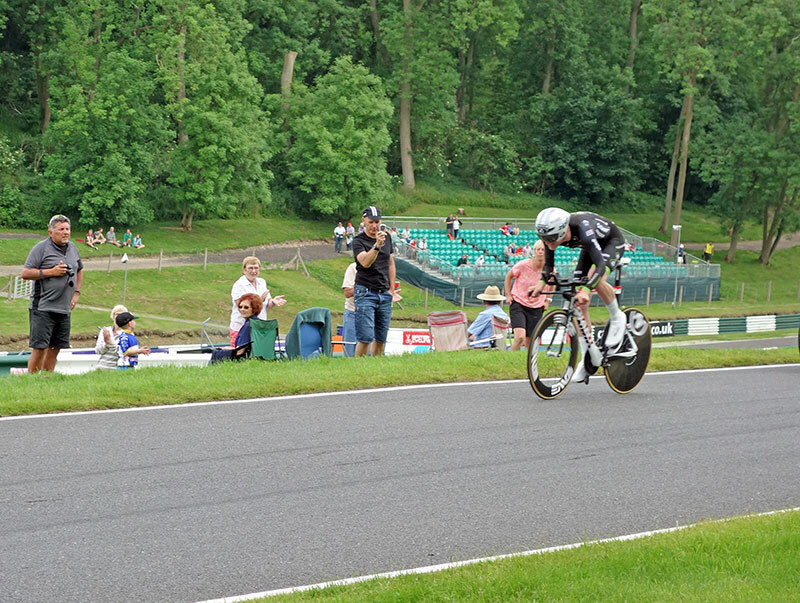 The British Time Trial Championship 2015 was held at Cadwell Park motor racing circuit. It had an impressive entry list with around 180 riders entering the Men’s, Women’s and Under – 23 championship. 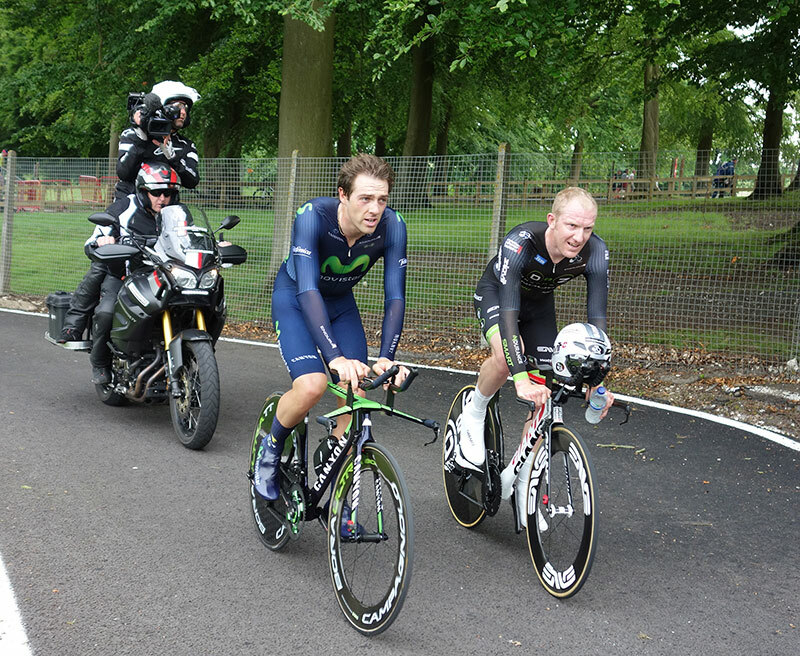 Former World Hour record holder – Alex Dowsett (Movistar) underlined his world class form to take a fourth national title. 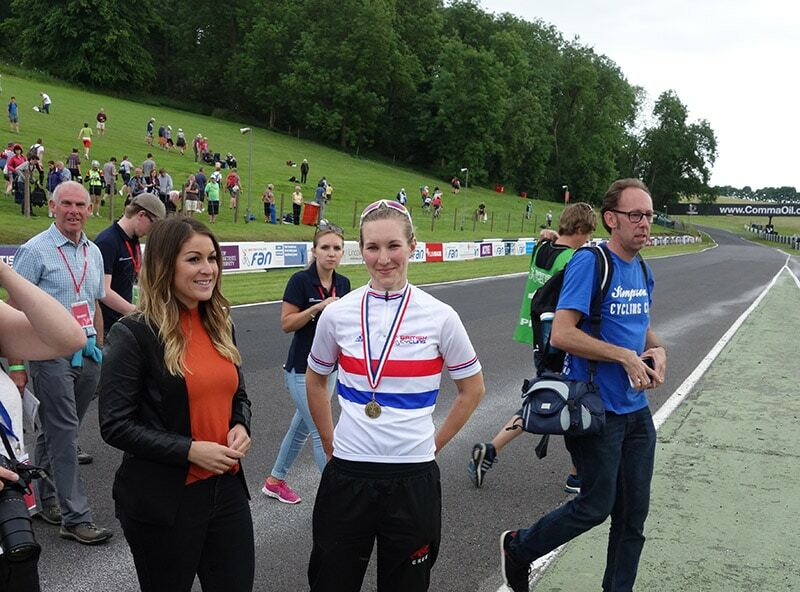 In the women’s event Hayley Simmonds (Team Velosport) won, and Scott Davies (100% ME) retained his under-23 title. 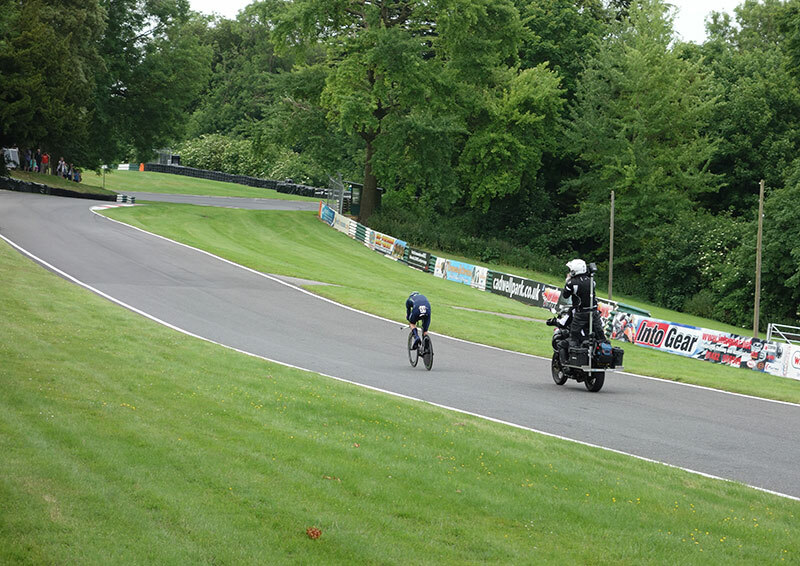 The race started on the Cadwell motor racing circuit before heading out to some local Lincolnshire lanes, which were closed to traffic. The men did 28.7 miles with women and under-23 men doing 2 laps of the big circuit for around 21 miles. 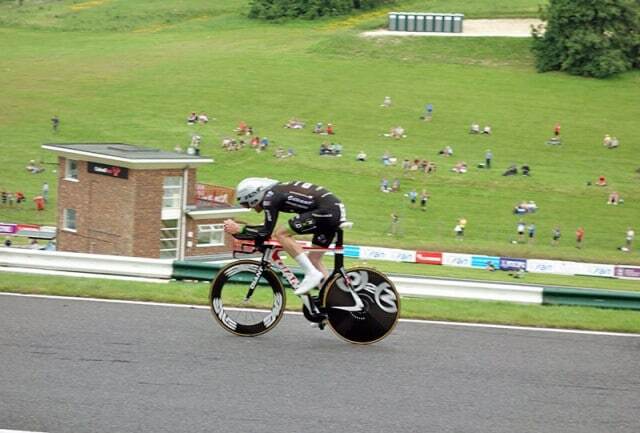 I did my first British time trial championship in 2005. It was held near Penistone on open roads to traffic, with a typical local school for HQ. I’m not sure how many people entered in 2005, but it wasn’t that many and only a handful of women and under 23’s. 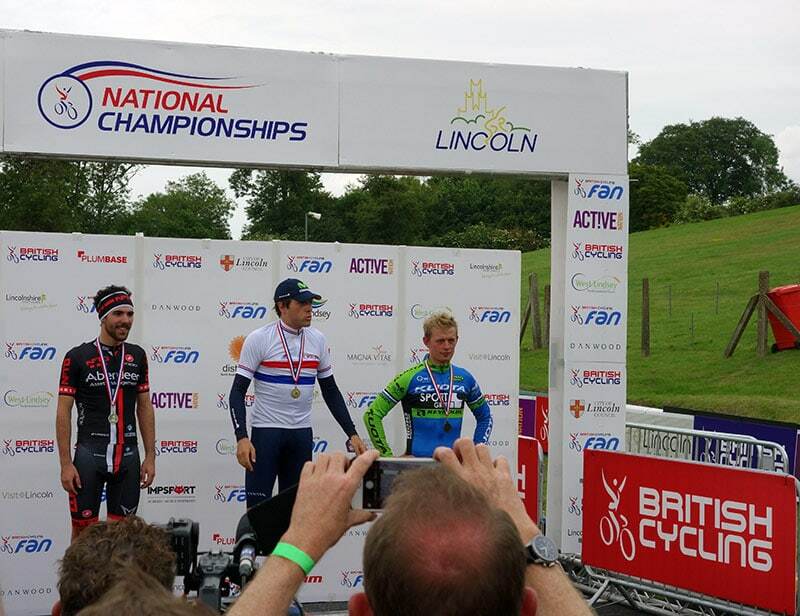 Fast forward nine years, and you can see in a microcosm how British Cycling has changed. There is much more interest from across the board and a real strength in depth. Cadwell Park and the closed roads made a very impressive setting for the Championship. Compared to 2005, it was a bit like moving from Sunday league football in the local park, to suddenly finding yourself in the Premier League playing at Old Trafford. 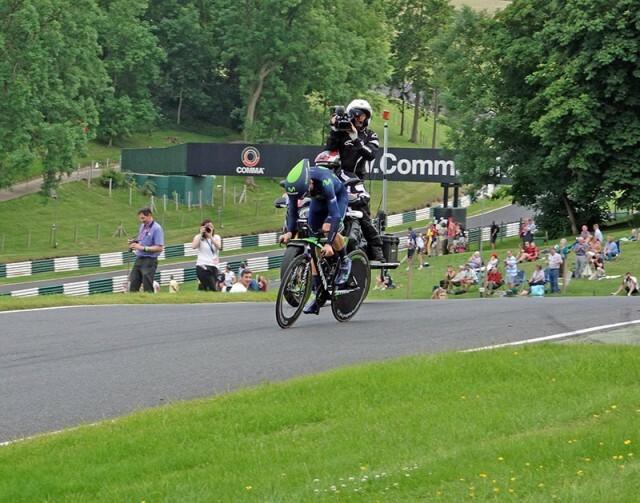 Sunday league football and the the village HQ retain a certain charm for domestic time triallist like myself, but it is really good for the opportunity to race on a bigger circuit, with banks of spectators and wonderful curves of a motor racing circuit. I enjoyed it a lot. Anonymous friend who mailed in post my racing license from Oxford. Also, thanks to Beeline bikes for help with getting UCI legal forks and the like (and being persistent in tracking down Trek). I understand why UCI have regulations on bike sizes, but it can still be a bit of pain – at least for someone not used to riding UCI events. Before the race, with Beeline, we did make a great effort to meet regulations on tribar length, given my height of 190.5cm – I’ve been riding this UCI position for a couple of weeks. Today, I got there early hoping to get conformation from a commissaire the bike was legal and OK to go. 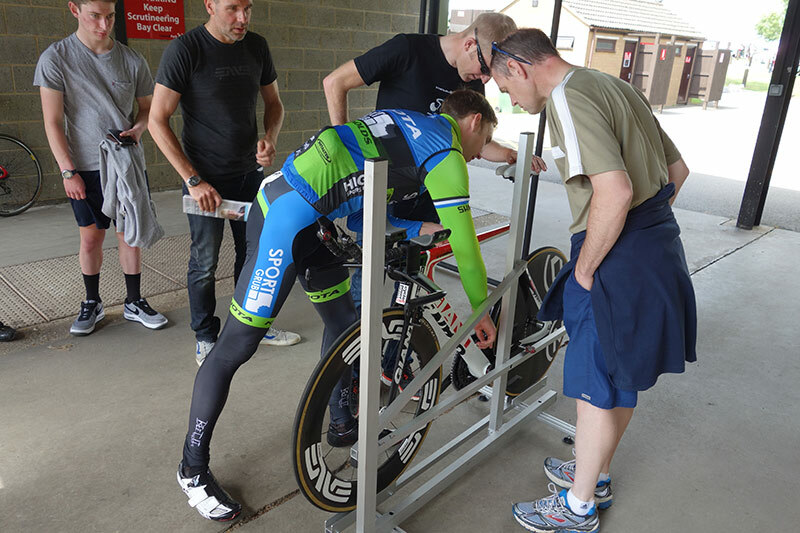 Unfortunately, the bike checking place had a rig, but no commissaire to confirm. I asked several people, and I got several different answers! Confusion reigned supreme, and I couldn’t go to start area. From what I could make out, the rig didn’t show the maximum extension for people with higher than average height allowances. In the end, I took the safe option and moved my tribars inward as much as possible. I thought it better to be short, than not ride at all. In the end, when I was able to get to the start area 20 mins before race, the bike passed, though I’m still none the wiser about the whole process. I was going to write a blog post on how to get your time trial bike UCI legal, but I can never summon the effort to do it. After the minor equipment stress, it was a relief to get to start line and get on the circuit. No start ramp, just a nice steep hill to start off with. I got into good rhythm and felt I was doing OK. During the first lap, I was a bit worried about going off too quick because of the adrenaline of competing in a very different setting. But, I seemed to be able to hold it together for all three laps. The course was quite technical, though not overly. I hadn’t ridden the course beforehand so was riding every corner blind. 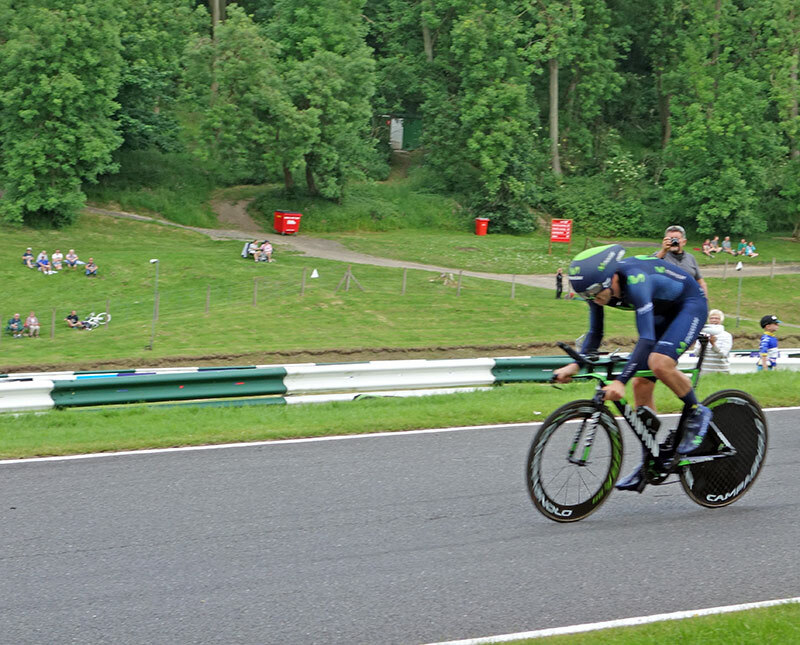 By the end of the third lap, I had just about learned how to nail the sharp corner at the bottom of the descent before the steep hill (my times up the hill got quicker as the laps went on – because of more speed from the downhill). It definitely rewarded the rider who could maintain a bit of momentum up the really steep bit. It wasn’t a massive hill, but enough to get you in the lowest gear. I did it all seated in the saddle twiddling a lowest gear of 39*25. Then elsewhere on the circuit, there were also quite a few fast bits when you were in your 56*11. 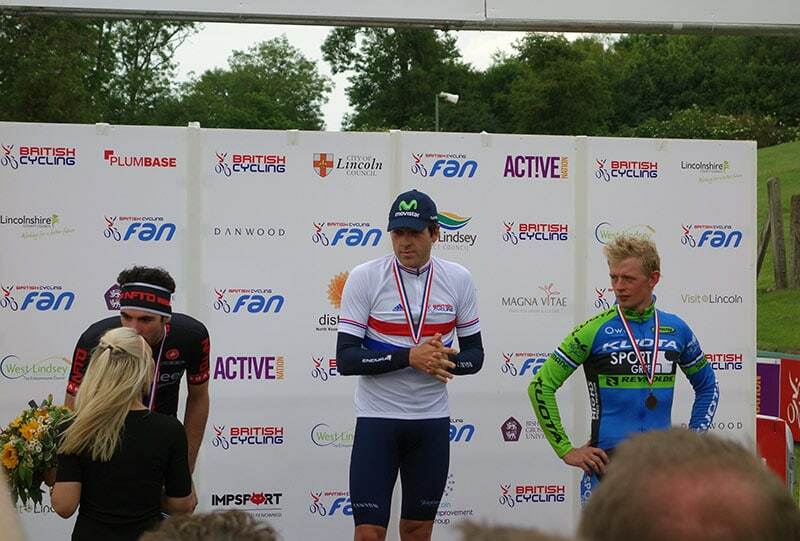 I was pleased to finish 7th, though it was slightly inflated by the number of dns and dnf’s which seems to happen quite a lot in national TT championships. But as one of the oldest clichés in cycling goes – ‘you have to be in it to win it’. Perhaps if people aren’t on absolute top form, they don’t want to race, but save their legs for the road race on Sunday – or perhaps they are preparing for that little race across the English channel. It’s a bit of a shame the likes of Bradley Wiggins and Geraint Thomas didn’t ride – but they have been collecting very impressive palmeres to give themselves a good excuse. And I’m not going to complain too much, 7th sounds much better than 9th. After going to all the trouble of entering the BTTC, I decide a few weeks ago to prioritise the national 100 (that’s why I did ECCA 100 on Sun). But, I think training for the national 100 had no ill-effects, and possibly helped for the hilly 28 mile circuit. I really enjoyed the day and the time trial (excepting minor UCI rule stress). It was very well organised, with a lot of enthusiastic people to help organise; the event had a real championship buzz. It felt a bit of treat for a domestic tester – more used to a 6am start in an anonymous dual carriegeway layby. For all the hassle and cost of getting bike ready, I’m glad to have done the big championship. Men’s podium. I had Ed Bradbury down for a good ride after he smashed M.Hutchinson’s course record on my local Kingston Bagpuize 10 mile TT. He says he likes the hilly TT too. Matt Bottrill just outside the podium but he’s had a great couple of seasons in past few years. Two great champions, but it was Dowsett’s day today. 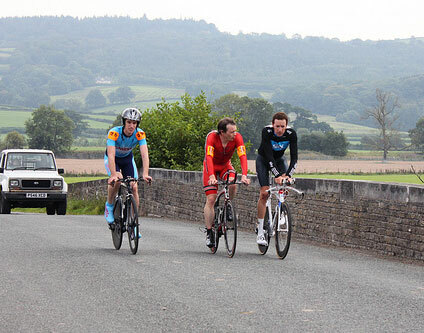 It remind me of this photo I took of 2010 BTTC champs with Hutchinson, Wiggins and an unknown club rider. What a great place to race. 14:14 45 Hayley Jones Bicycle Superstore. 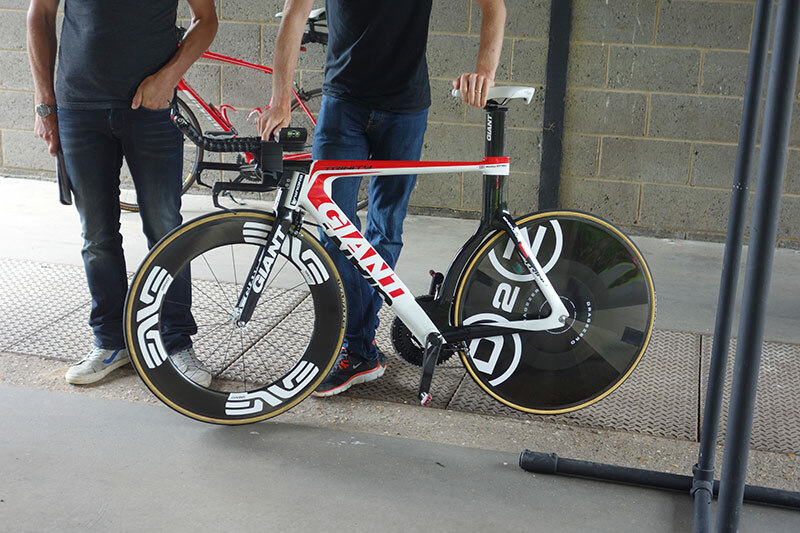 Hey Tejvan, I’m 99% sure the rider with Hutch and Wiggins is Silas Goldsworthy of Sandy Wallace Cycles. He’s had top tens in British Nats and has had Scottish TT titles. You made it into the Eurosport highlights programme. After following your blog for a while, it’s great to see you in action!